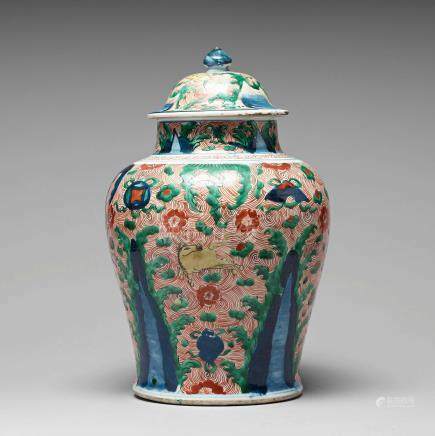 588: A Wucai Transitional jar with cover, 17th Century. 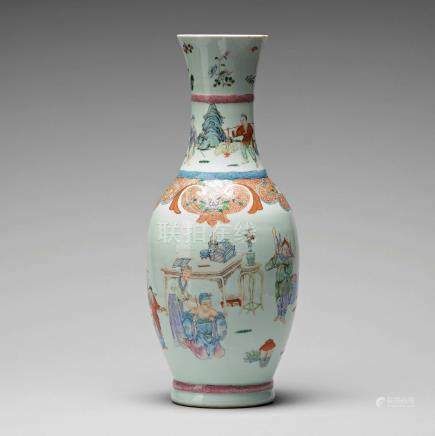 589: A Wucai Transitional vase with cover, 17th Century, Shunzhi (1644-1661). 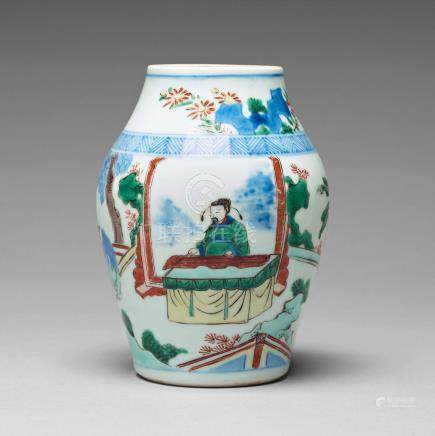 590: A Transitional Wucai jar with cover, 17th Century. 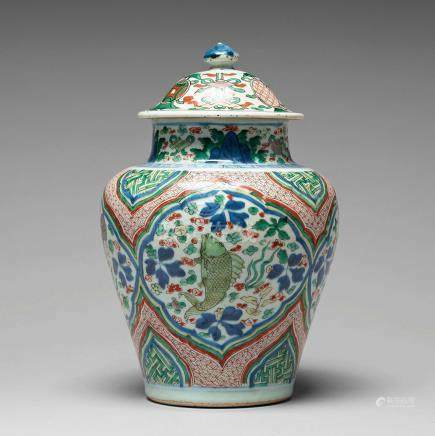 591: A Wucai Transitional jar, 17th Century. 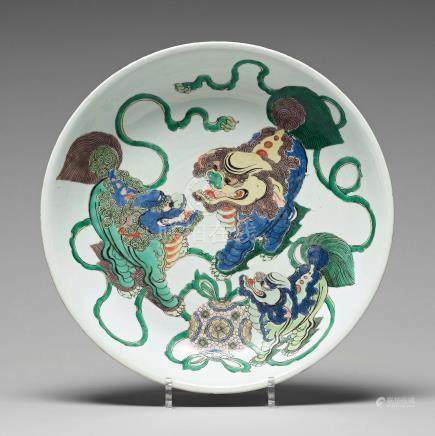 592: A famille verte dish, Qing dynasty, Kangxi (1662-1722). 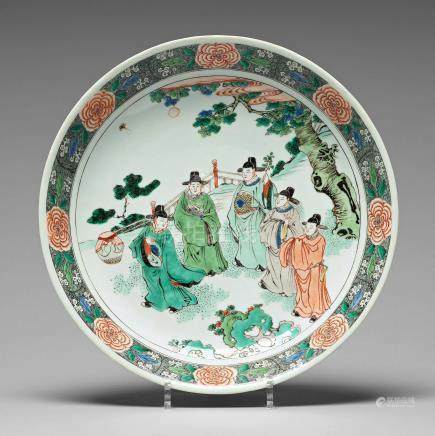 593: A large famille verte dish depicting five scholars, Qing dynasty, Kangxi (1662-1722). 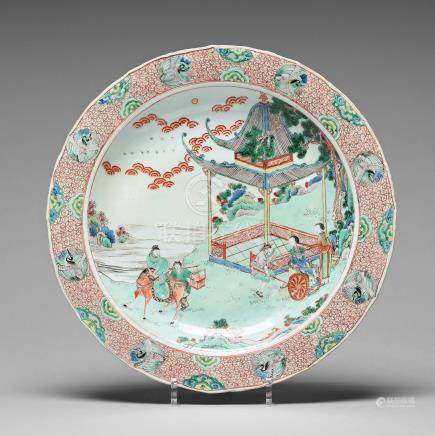 594: A famille verte dish, Kangxi (1662-1722). 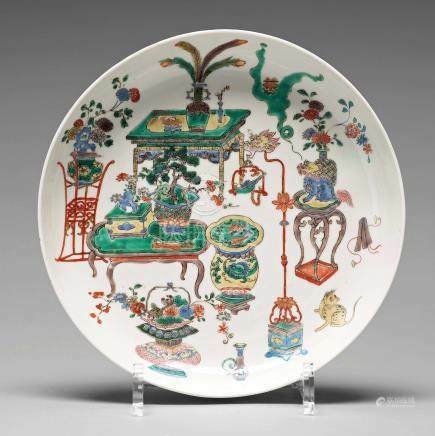 595: A famille verte charger, Qing dynasty, Kangxi (1662-1722). 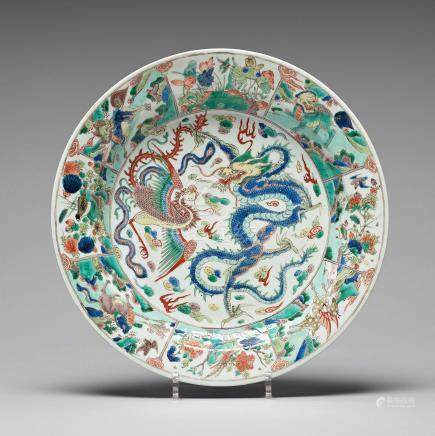 596: A famille verte dish with dragon and phoenix motif, Qing dynasty, Kangxi (1662-1722). 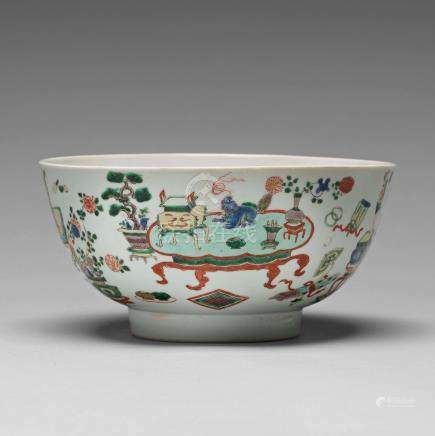 597: A famille verte bowl, Qing dynasty, Kangxi (1662-1722). 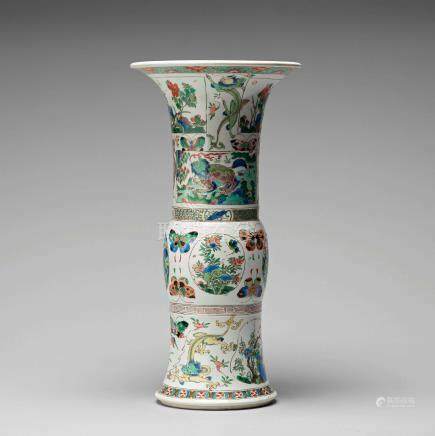 598: A famille verte Gu shaped vase, Qing dynasty, Kangxi (1662-1722). 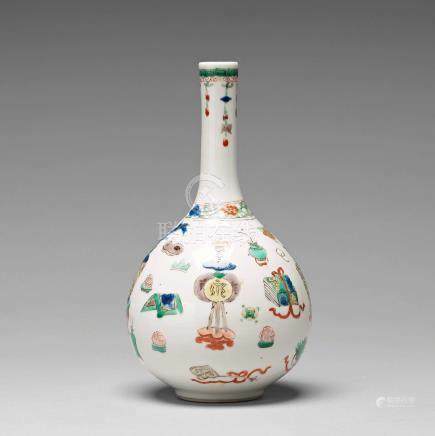 599: A famille verte Gu shaped vase, Qing dynasty, Kangxi (1662-1722). 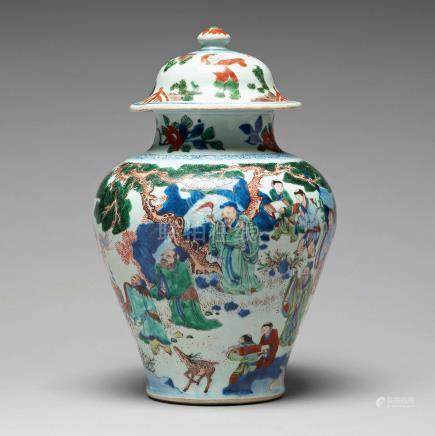 600: A famille verte jar with cover, Qing dynasty, 18th Century. 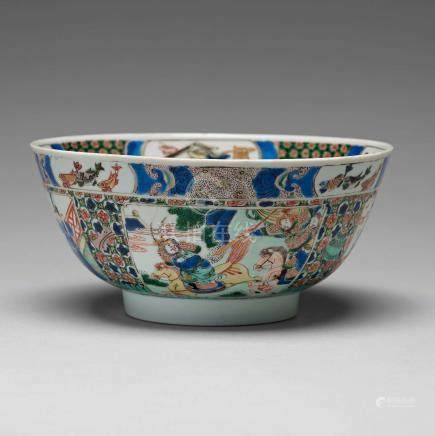 601: A famille verte bowl, Qing dynasty, Kangxi (1662-1722). 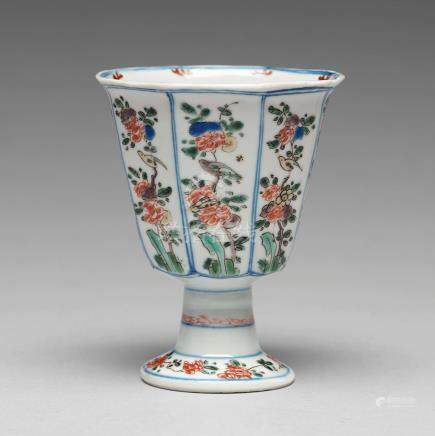 602: A famille verte octagonal Stem cup, Qing dynasty, Kangxi (1662-1722). 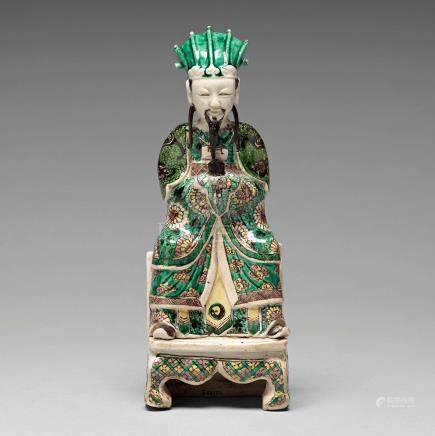 603: A bisquit figure of a court official, Qing dynasty, Kangxi (1662-1722). 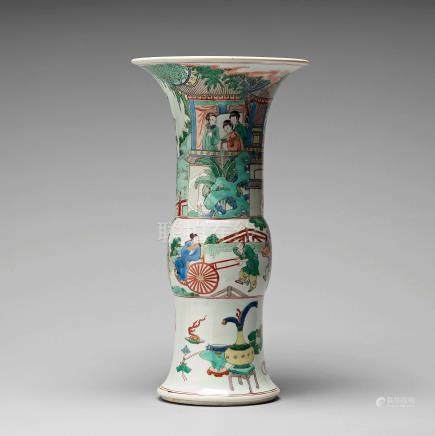 604: A famille verte vase, Qing dynasty, Kangxi (1662-1722). 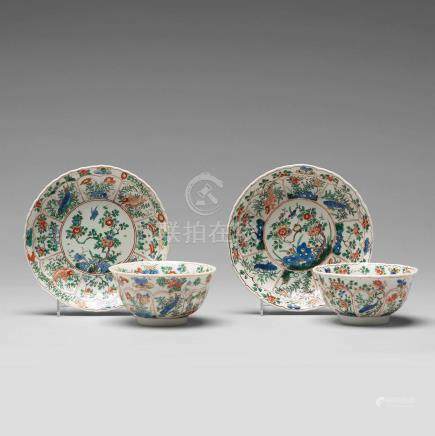 605: A pair of large famille verte cups with saucers, Qing dynasty, Kangxi (1662-1722). 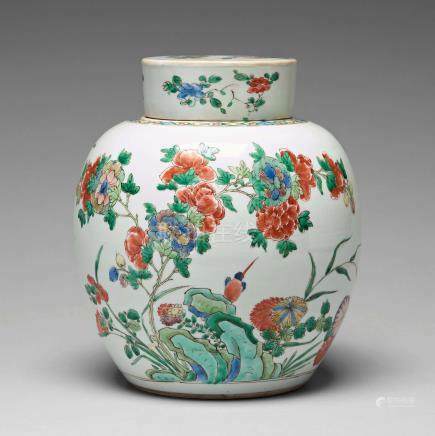 606: A famille rose vase, Qing dynasty (1644-1912), with Qianlong mark. 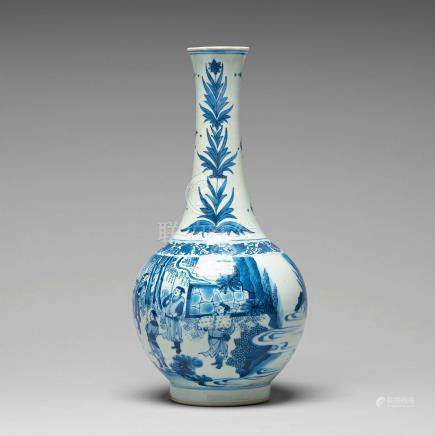 607: A blue and white pear shaped Transitional vase, 17th Century. 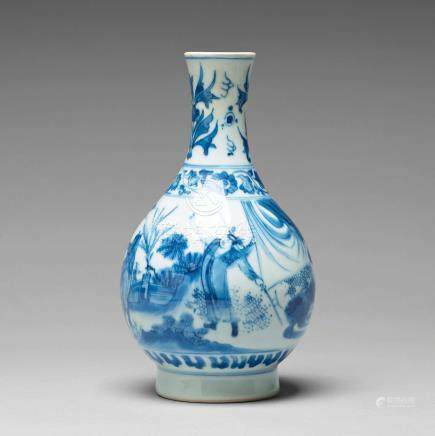 608: A large blue and white Transitional vase, 17th Century, Chongzhen (1635-44). 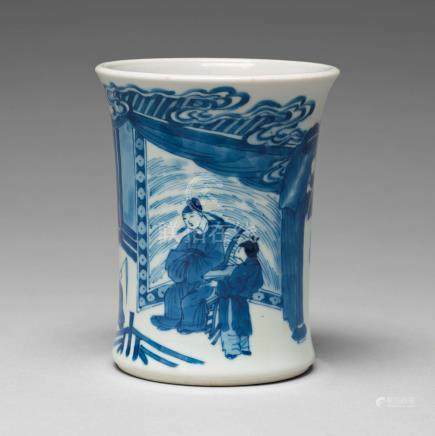 609: A blue and white Transitional brush pot, 17th Century with Chenghua mark. 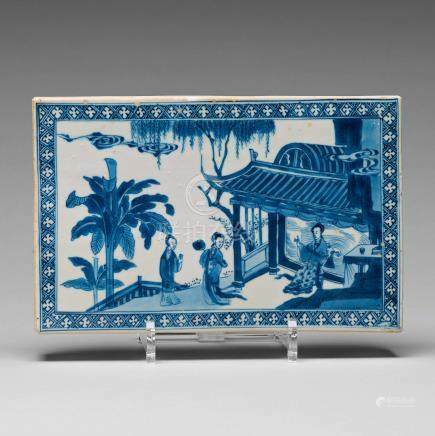 610: A blue and white screen tile, Qing dynasty, Kangxi (1662-1722). 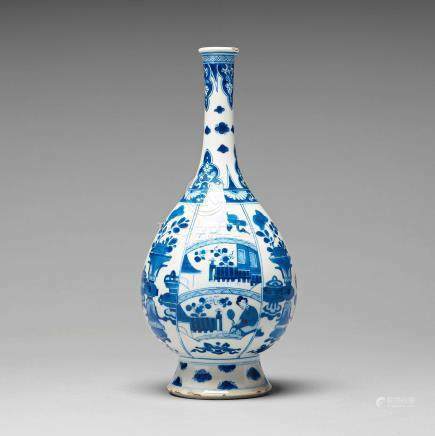 611: A blue and white vase, Qing dynasty, Kangxi (1662-1722). 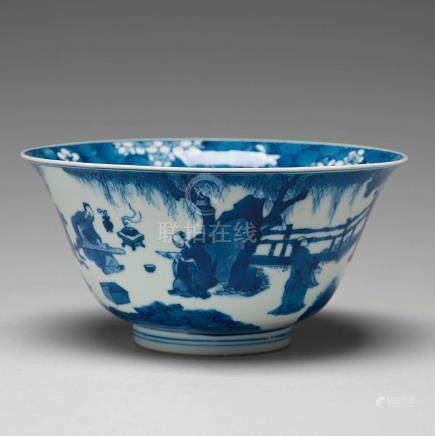 612: A blue and white bowl, Qing dynasty, Kangxi (1662-1722). 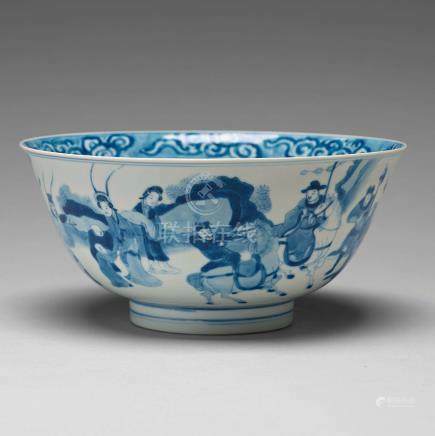 613: A blue and white bowl with immortals, Qing dynasty, Kangxi (1662-1722). 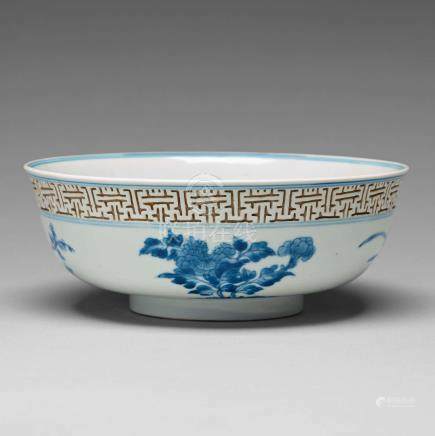 614: A blue and white bowl, Qing dynasty, Kangxi (1662-1722). 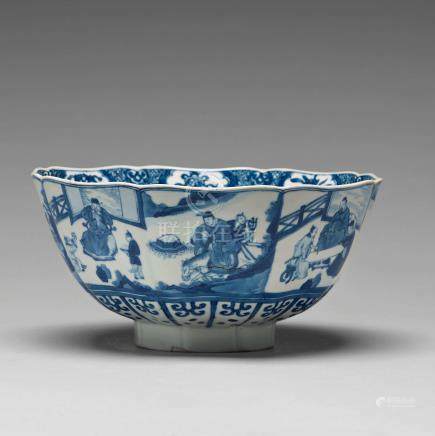 615: A blue and white bowl, Qing dynasty, Kangxi (1662-1722). 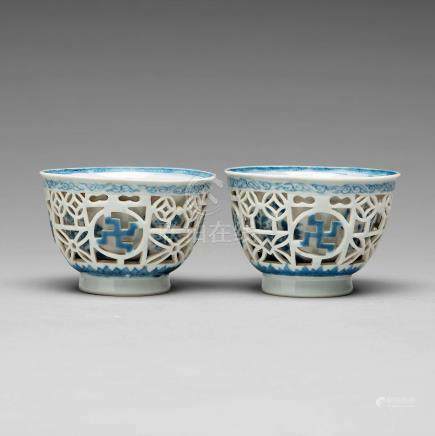 616: Two blue and white 'Ling Long' bowls, Qing dynasty, Kangxi (1662-1722). 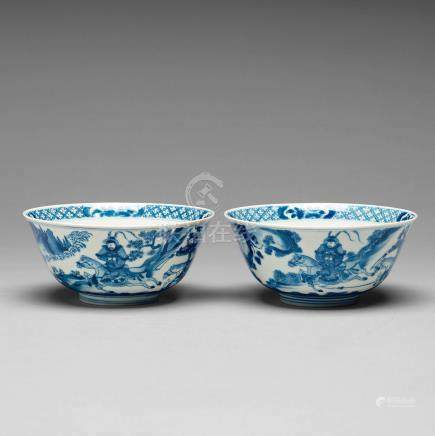 617: A pair of blue and white bowls, Qing dynasty, Kangxi (1662-1722). 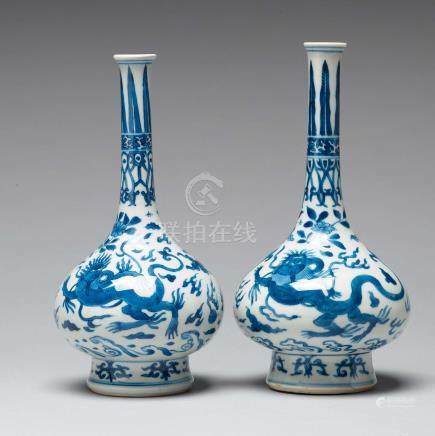 618: A pair of blue and white vases, Qing dynasty, Kangxi (1662-1722). 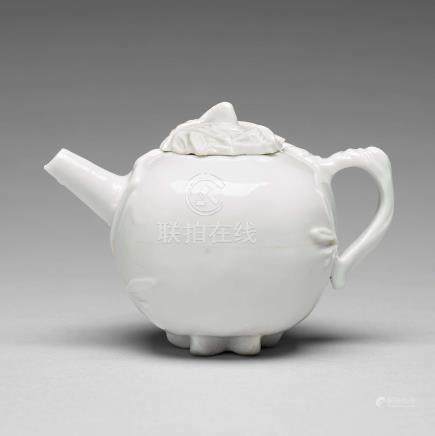 619: A pomegranate-shaped blanc de chine teapot with cover, Qing dynasty, Kangxi (1662-1722). 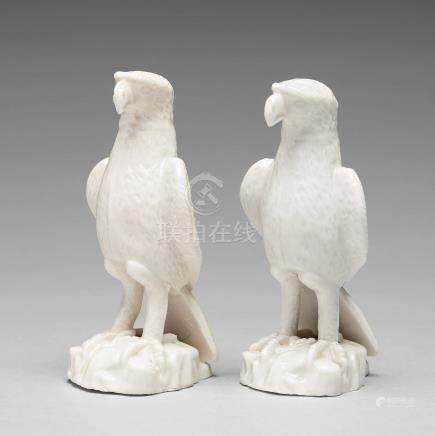 620: A pair of blanc de chine figure of hawks, Qing dynasty, 18th Century. 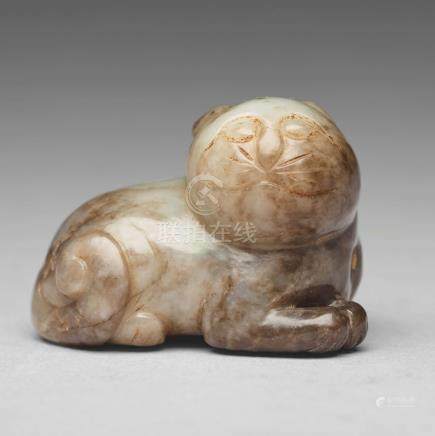 621: A nephrite figure of a cat, Ming dynasty (1368-1644). 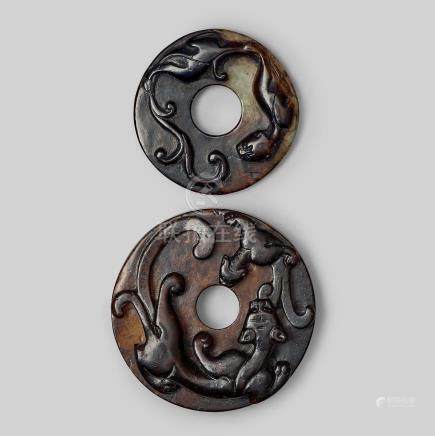 622: Two carved archaistic bi-discs, presumably Ming dynasty (1368-1644). 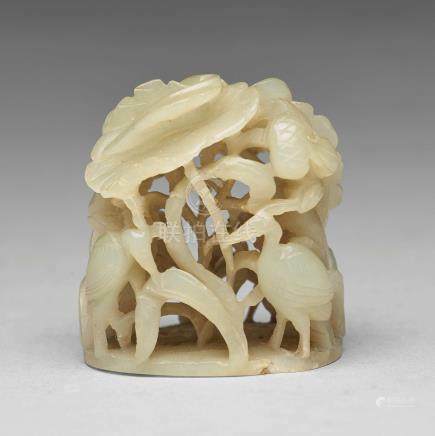 623: A carved nephrite hair piece, Ming dynasty or older. 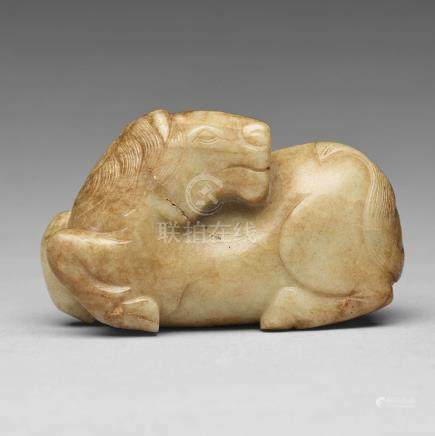 624: A carved nephrite figure, Ming dynasty (1368-1644). 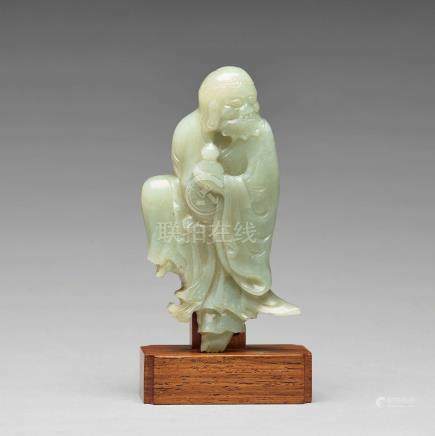 625: A finely carved nephrite sculpture of an immortal, Qing dynasty, probably Qianlong (1736-95). 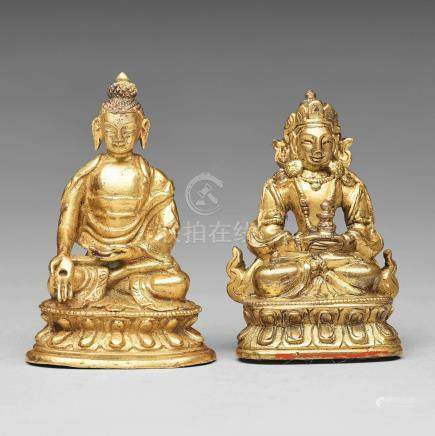 626: Two gilt copper alloy figures of deities, Tibeto-Chinese, 19th Century. 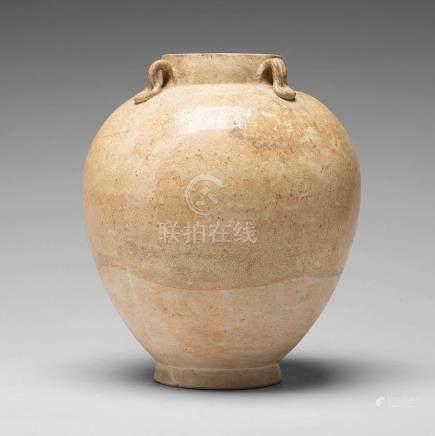 627: A large jar, Tang dynasty (608-906).